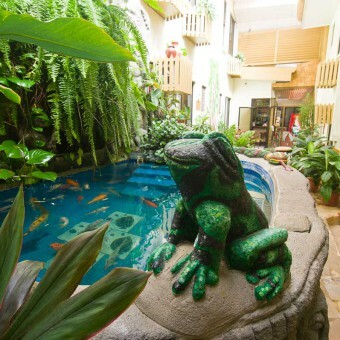 Adventure Inn is in the middle of Costa Rica's scenic Central Valley, a kilometre above sea level with a year-round spring-like climate. 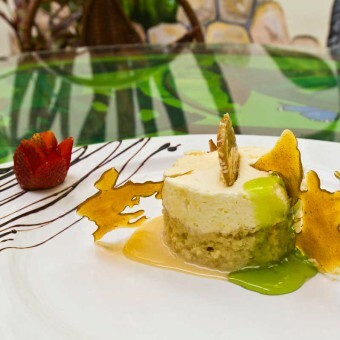 We are surrounded by green-patchwork mountains and located half way between central San Jose and the International SJO Airport. 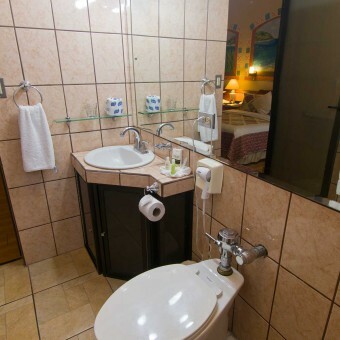 Arrive with our free airport shuttle service after your international or domestic flight to a warm welcome and enjoy our large deluxe A/C rooms with a flat screen cable TV, a direct dial phone offering free local and international calls, a large private bath, free WiFi, an in-room safe ($1 per day), a coffee maker to enjoy the bean that built Costa Rica, and a full bath with a hair dryer and amenity basket. 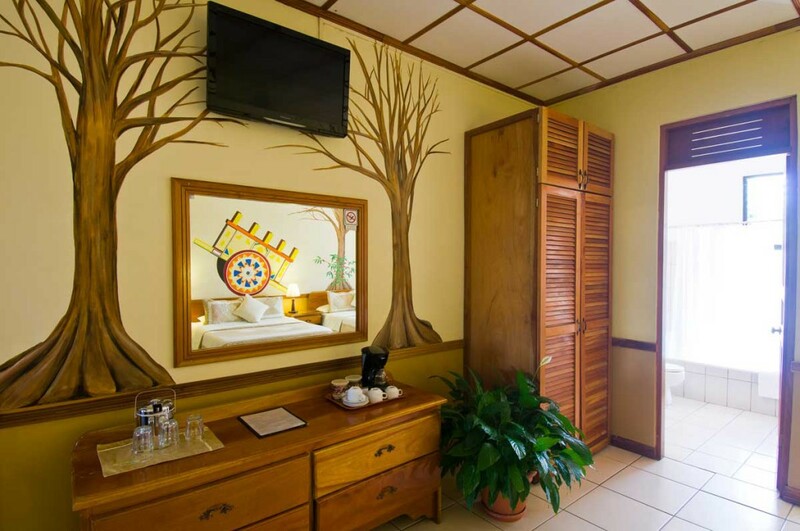 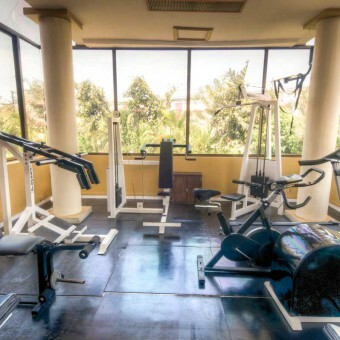 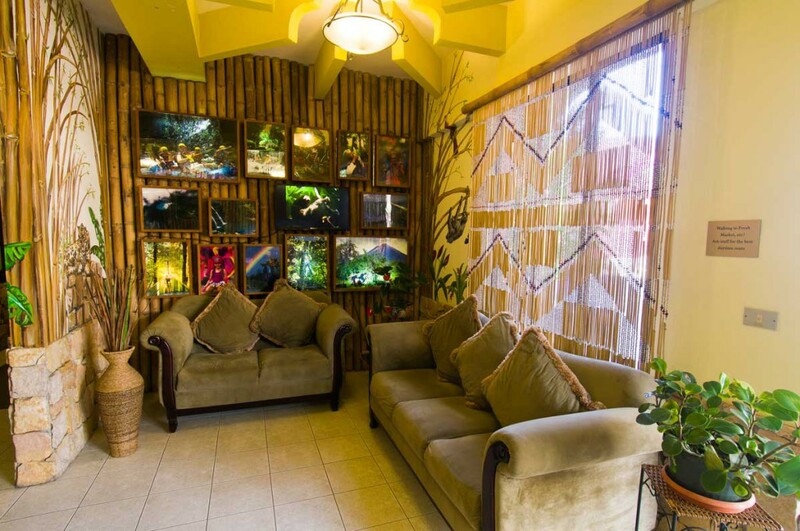 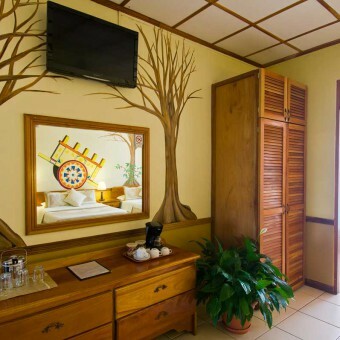 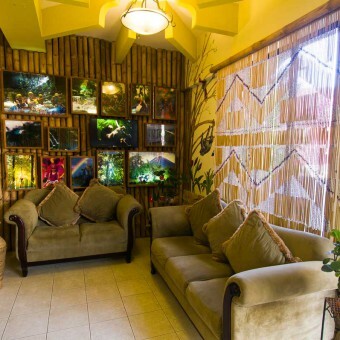 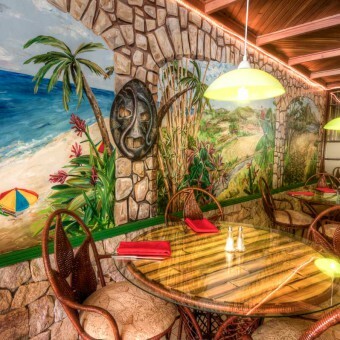 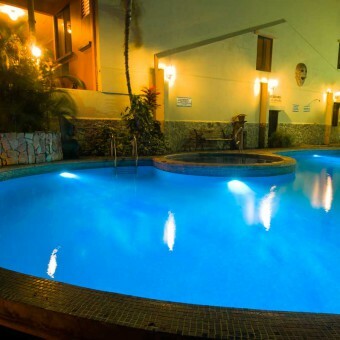 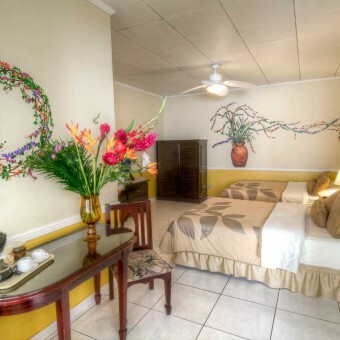 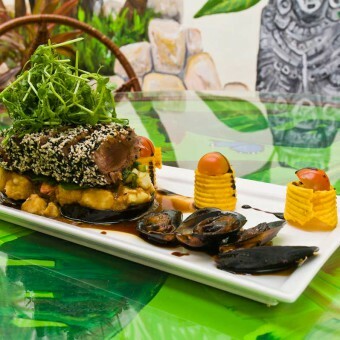 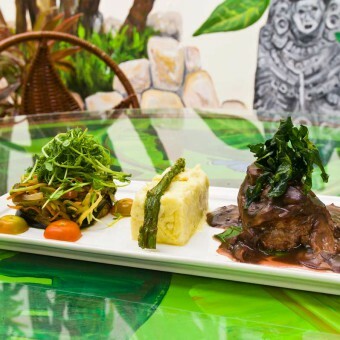 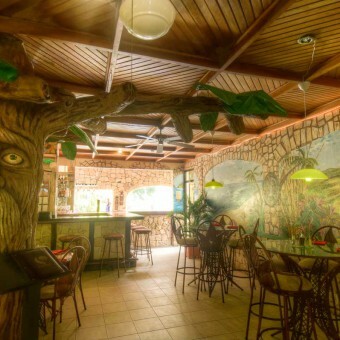 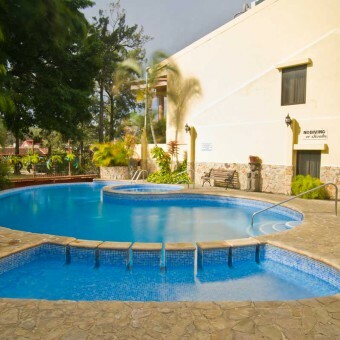 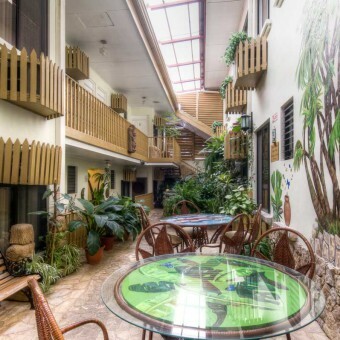 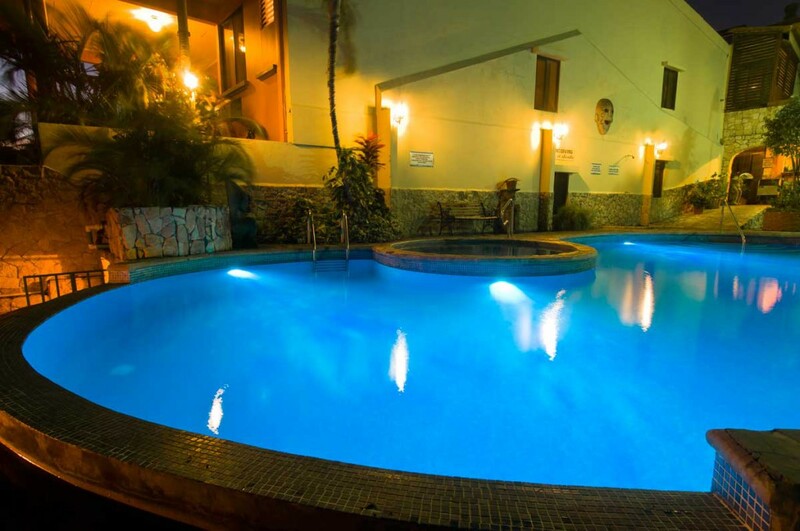 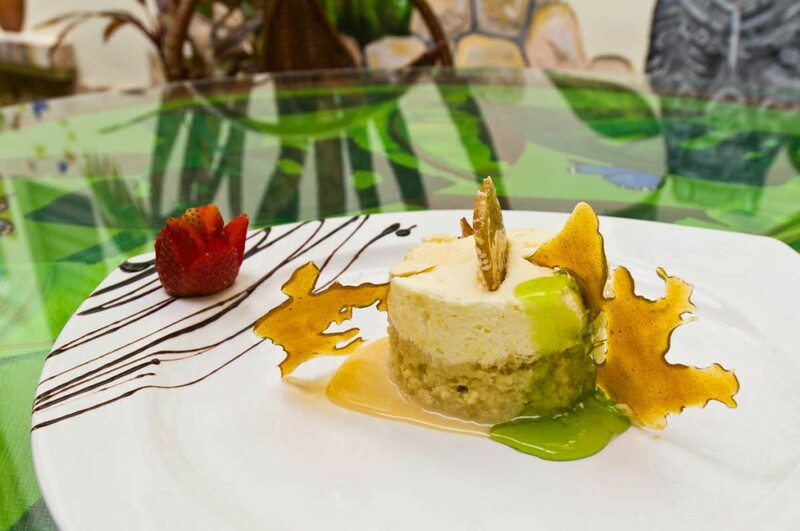 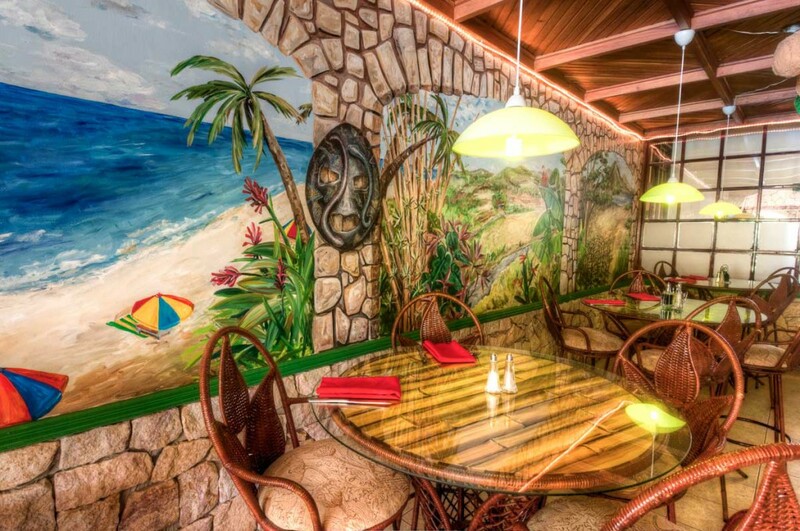 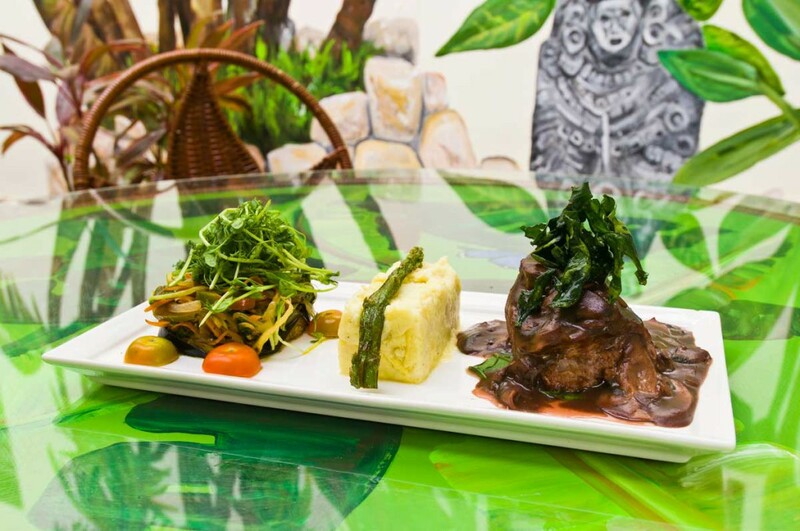 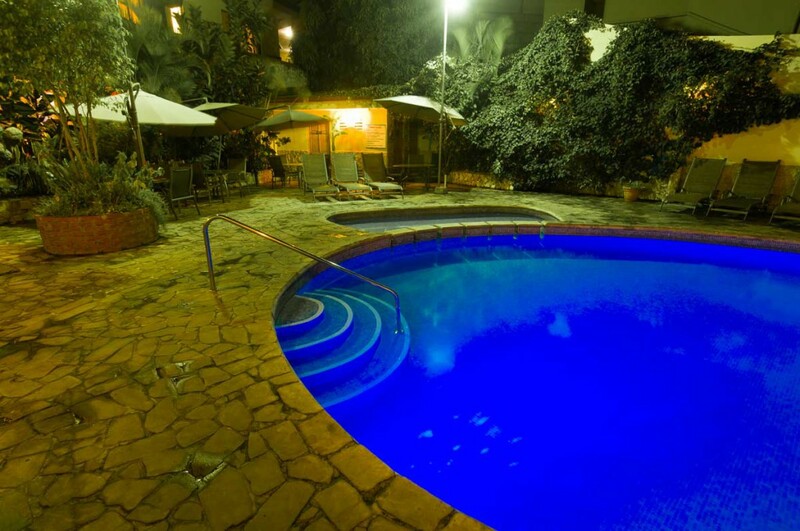 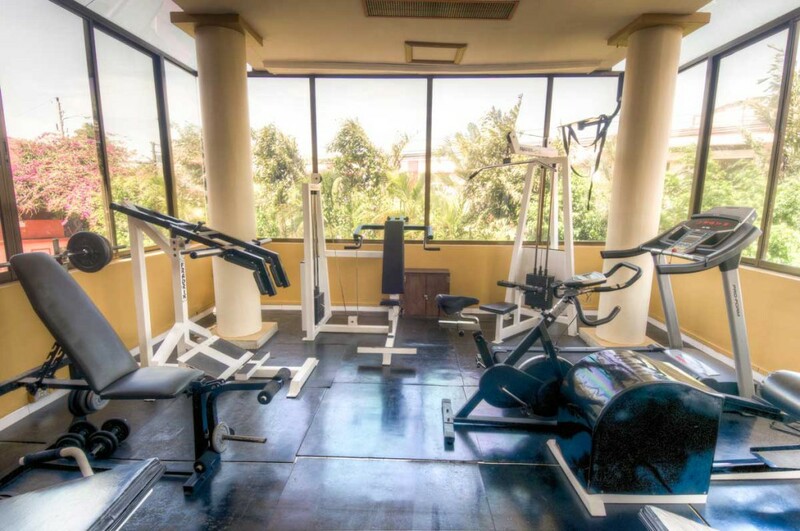 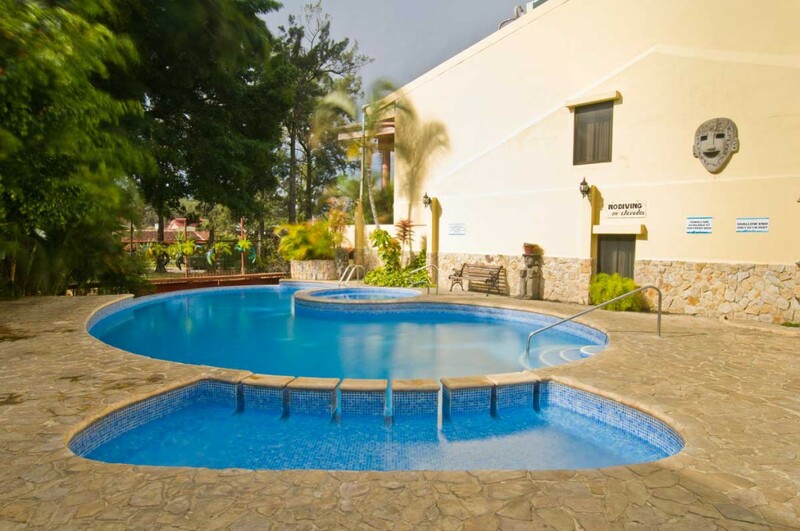 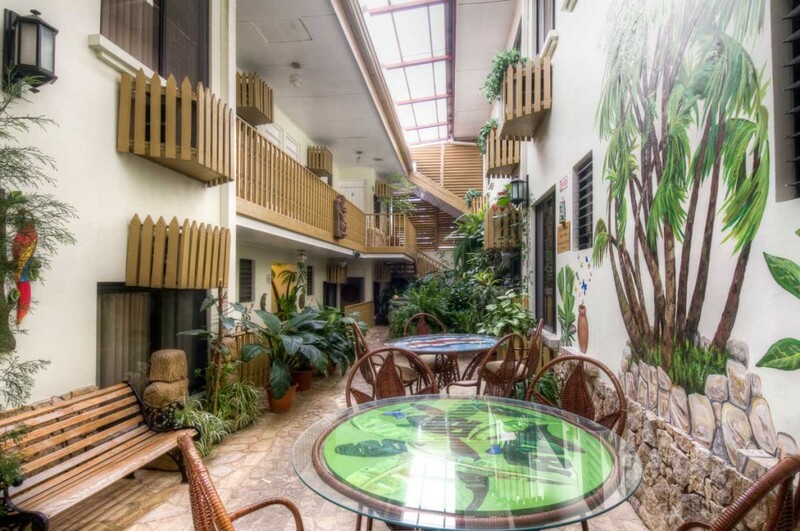 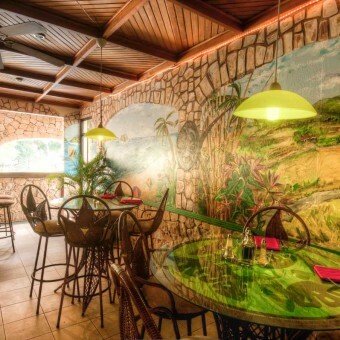 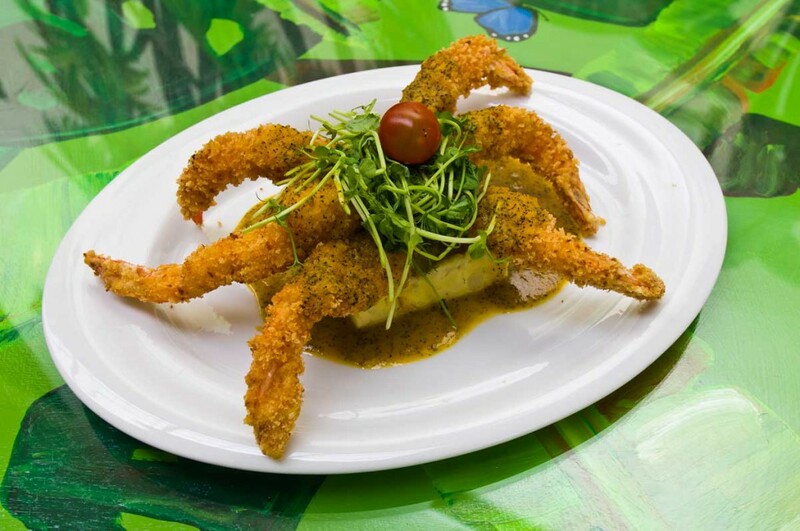 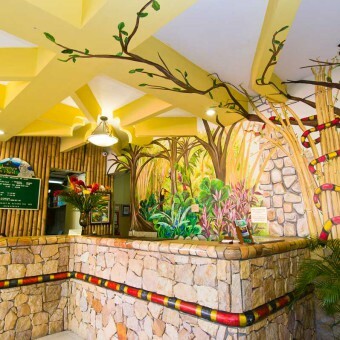 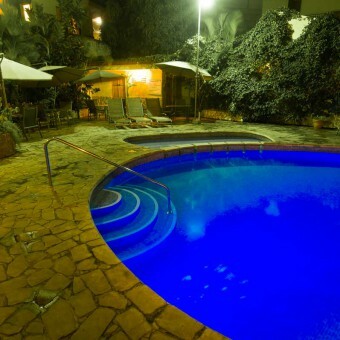 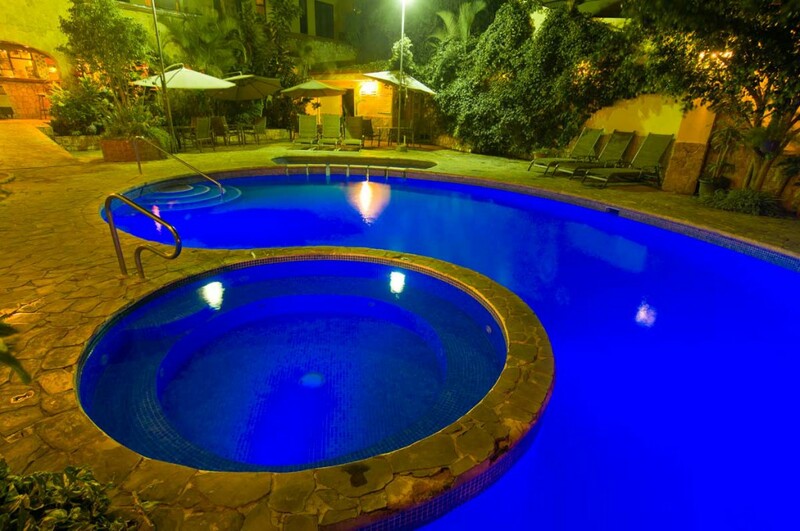 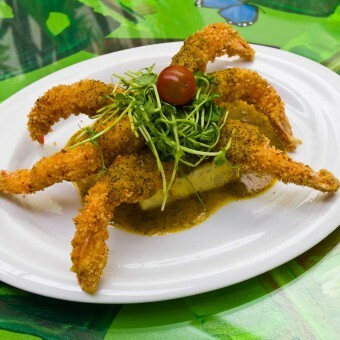 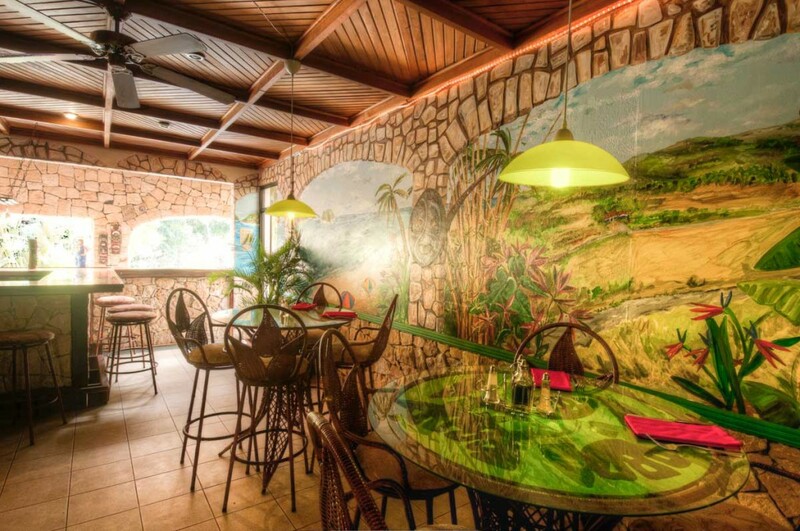 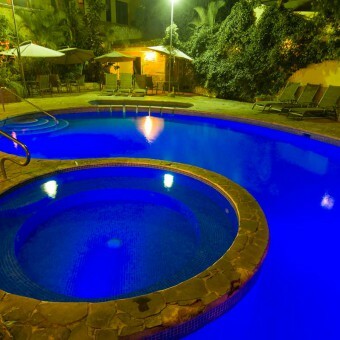 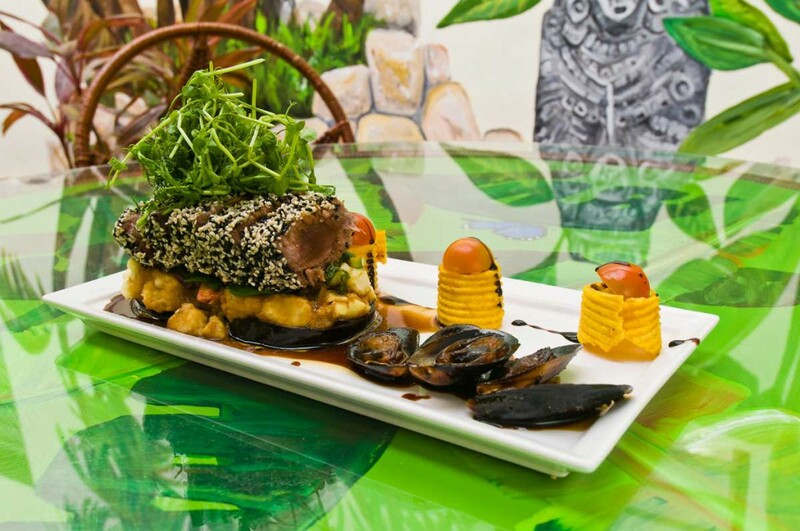 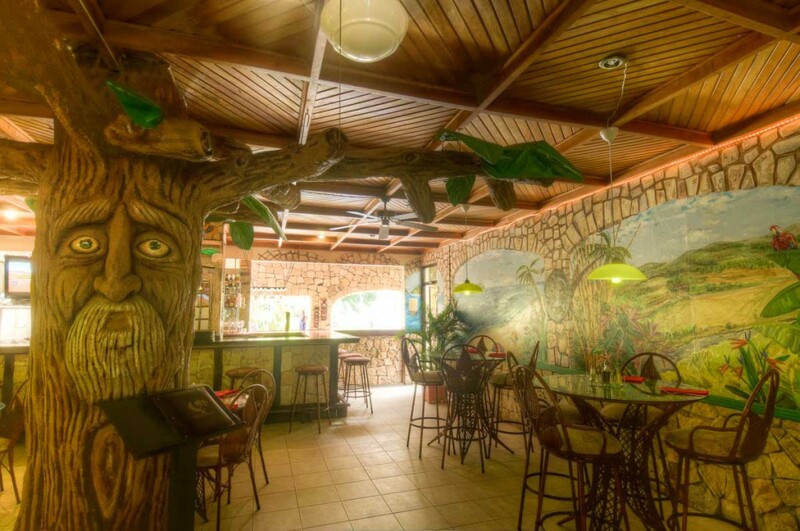 Enjoy our lively little MoonGlow Restaurant and Bar, slip into our new solar-heated outdoor pool and Jacuzzi, work out in our gym, communicate with home on any of our four flat screen computers, or just enjoy the pleasant walks through the up-scale Cariari neighborhood. 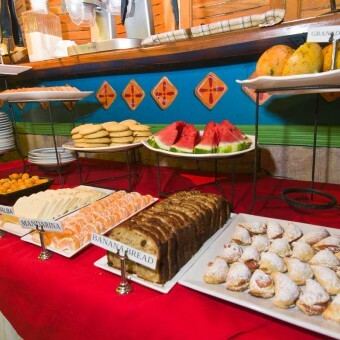 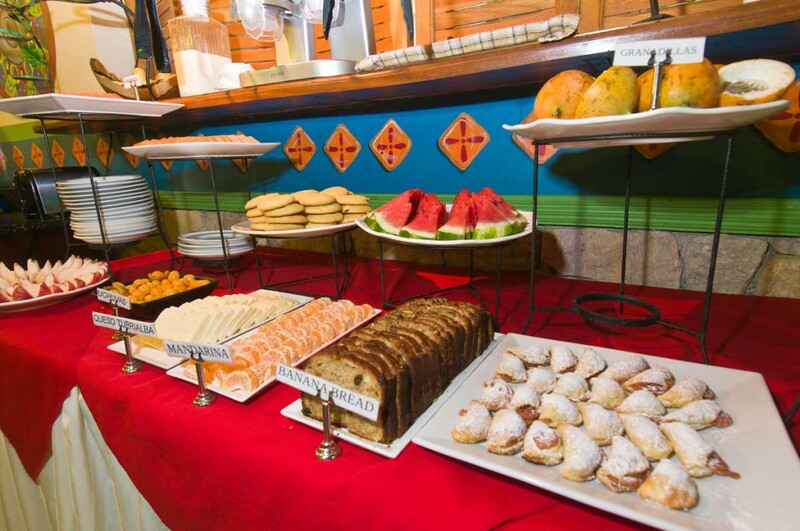 After a restful night's sleep wake up to an eye-opening complimentary full American / Tico buffet with nine or ten varieties of exotic fruits, pastries, Costa Rica cheese, banana bread, two exotic fruit juices and then hot served breakfast. 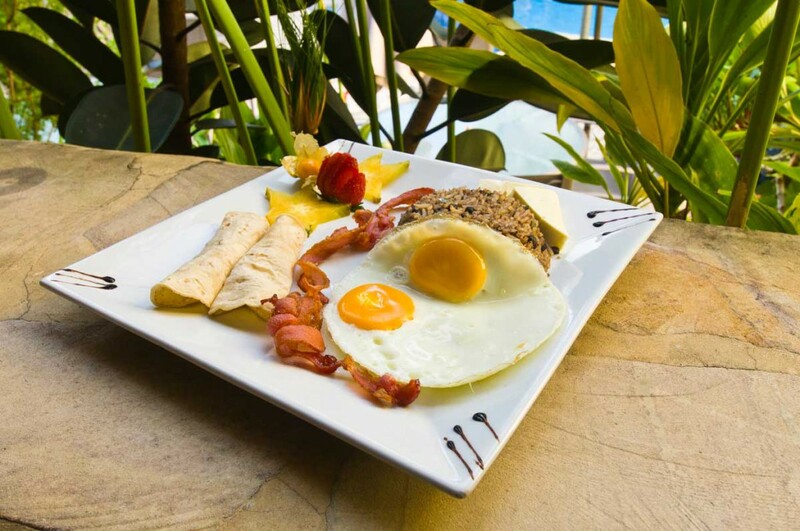 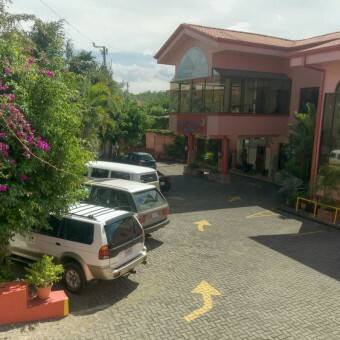 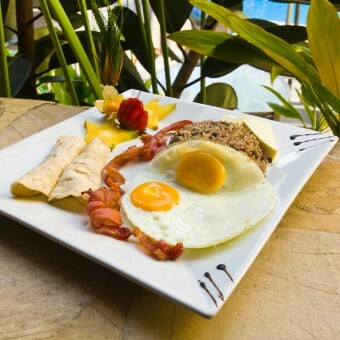 If you are staying with us on your last night in Costa Rica, we have free shuttles to the international airport, and if you leave before our 6 am breakfast, don't worry, tell the kitchen the night before and we'll pack a little 'to go' breakfast to fill the gap. 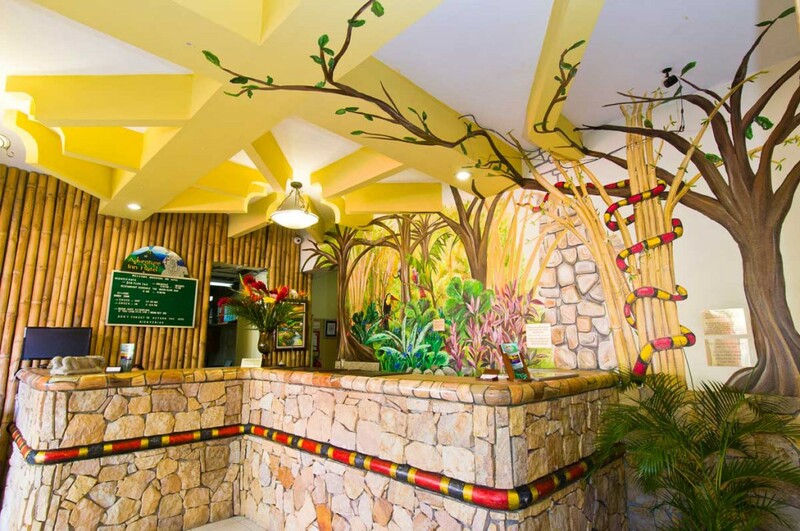 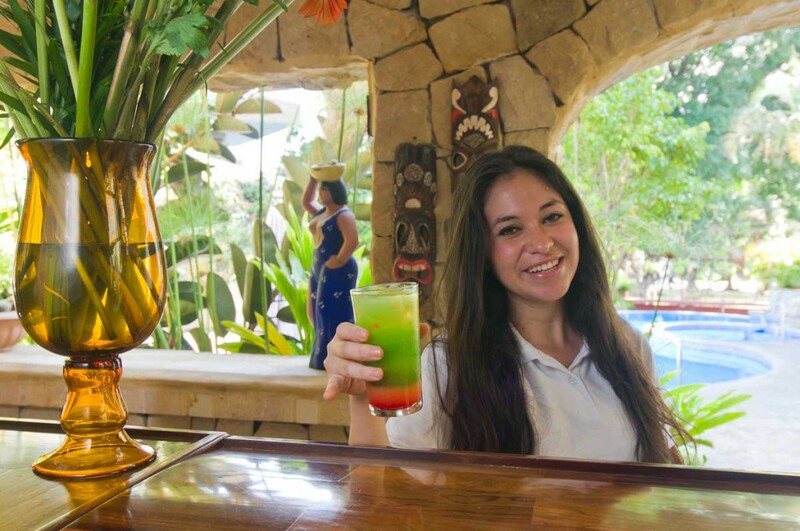 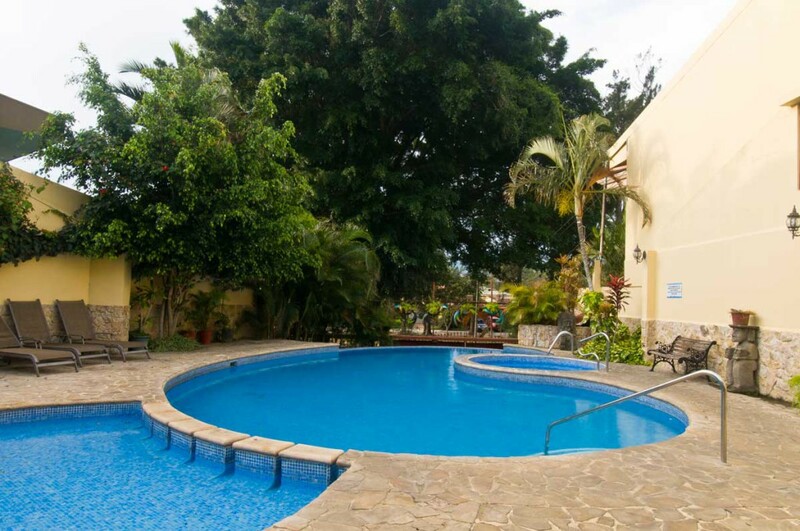 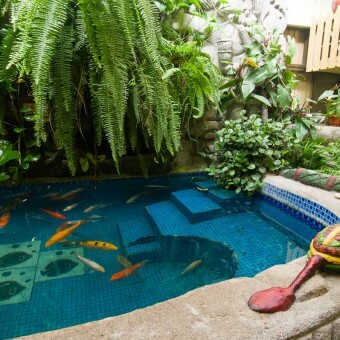 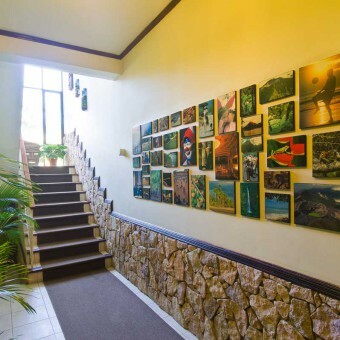 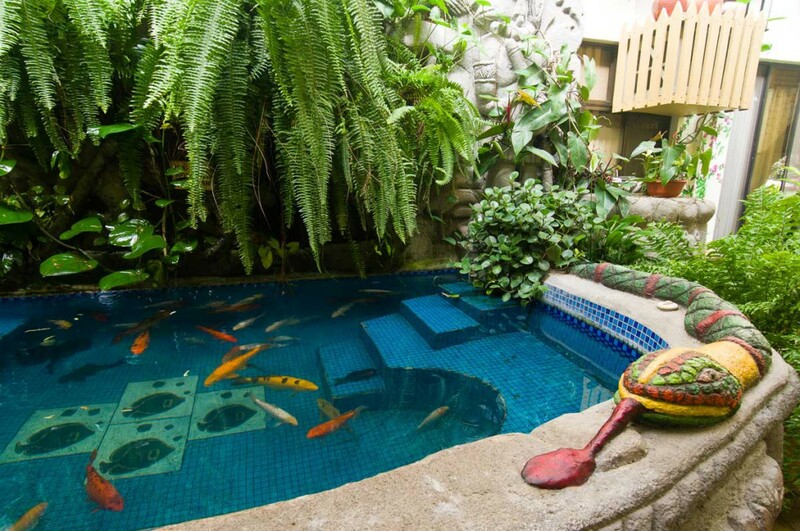 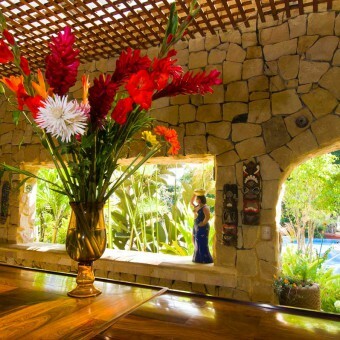 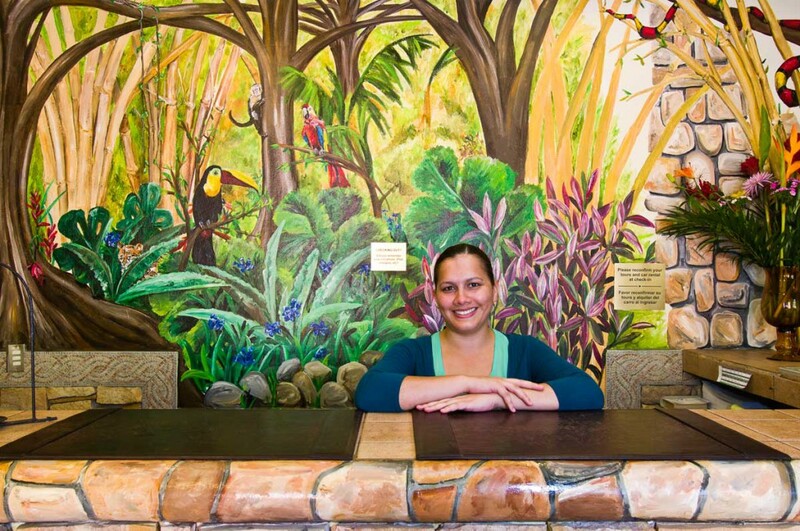 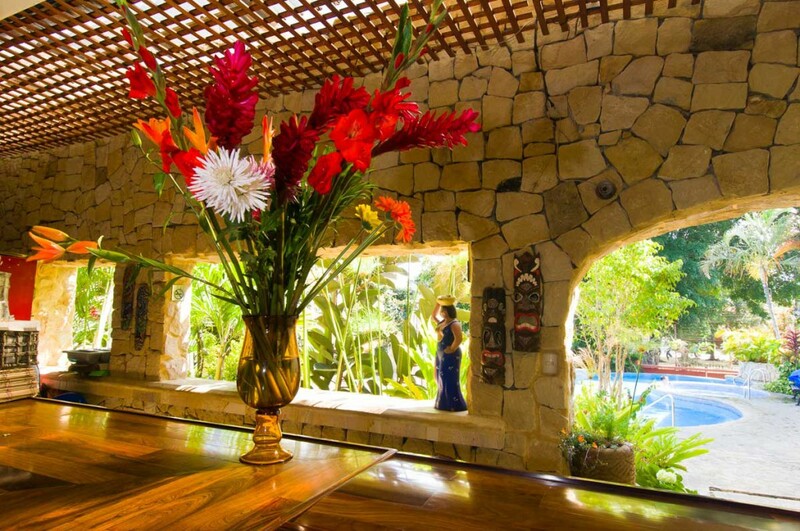 Adventure Inn sells more tours annually than any other Costa Rica hotel. 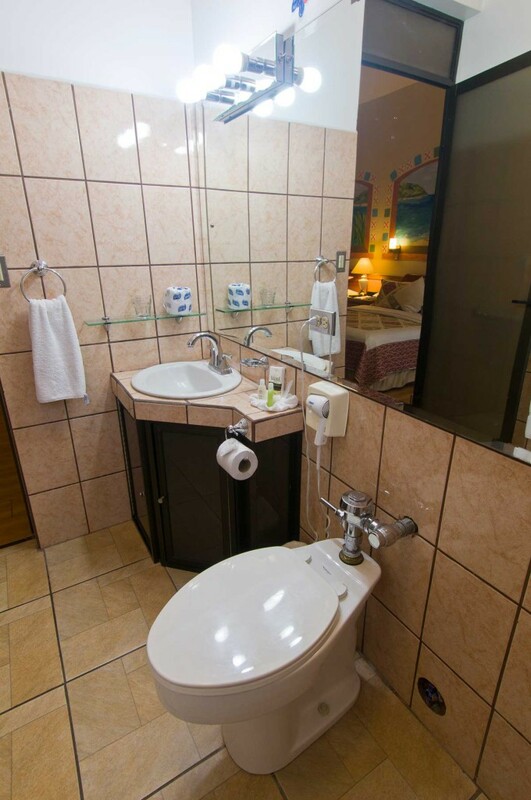 We have taken most of the tours ourselves so we know what we are talking about. 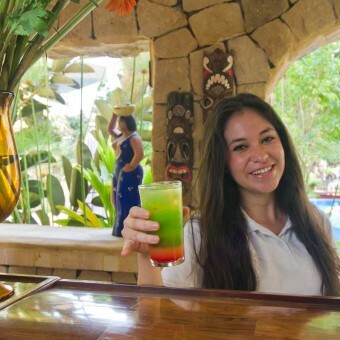 You can leave in all directions daily to tour the deepest rainforests, rappel from platform to platform high in the canopy, feel the adrenaline rush with world-renouned whitewater rafting on the warm Pacuare River, relax at a therapeutic hot springs resort under a majestic volcano or take a romantic catamaran cruise through historic pirate islands to a white sand and turquoise water island in the warm Pacific Ocean. 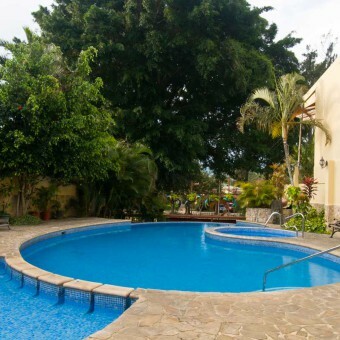 Rent a car or 4WD and create you own Costa Rican adventure. 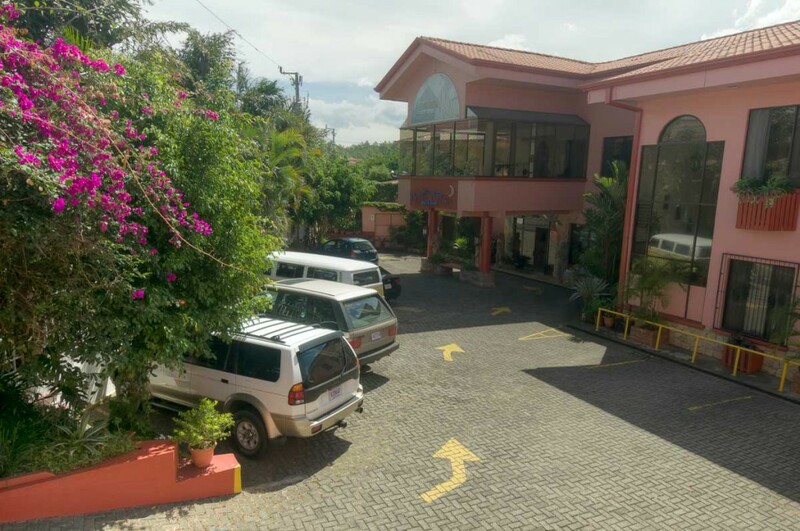 We have negotiated on behalf of our guests for the lowest prices for the newest cars and best service available in Costa Rica, and the prices we quote are all you need to pay, no surprises like when you book on line. 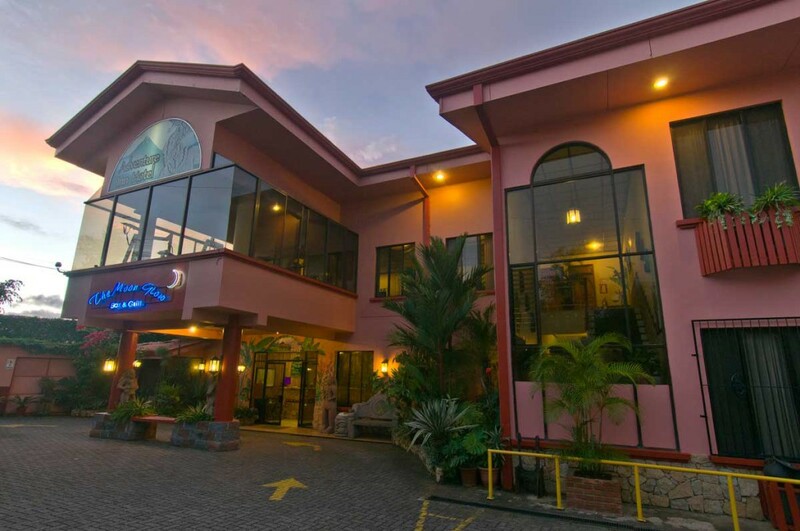 Golf, three casinos, bowling, malls and entertainment venues are an easy access from Adventure Inn. 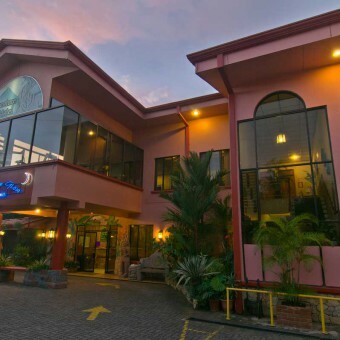 Costa Rica's Hard Rock Cafe, the new Cariari Mall and CinePlex is a mile away. 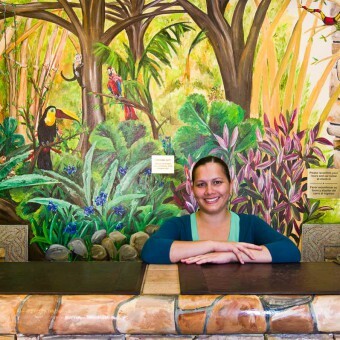 San Jose's Central Market, museums, promenade shopping district, and infamous nightlife are just ten minutes away. 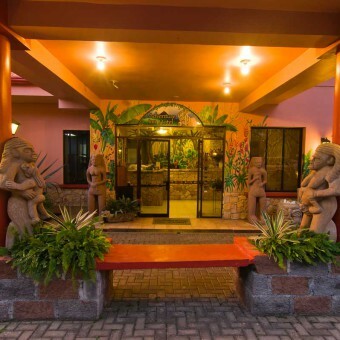 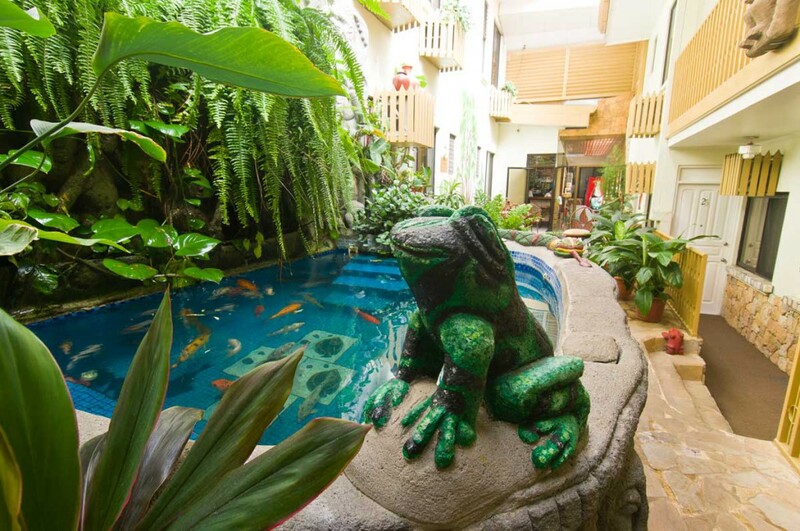 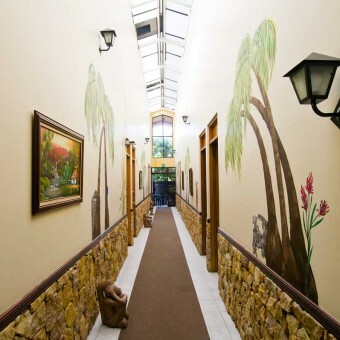 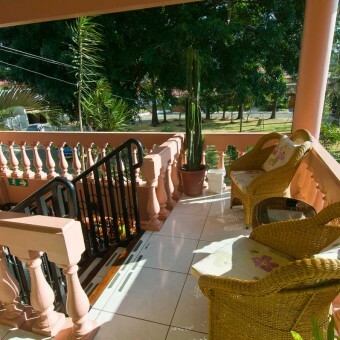 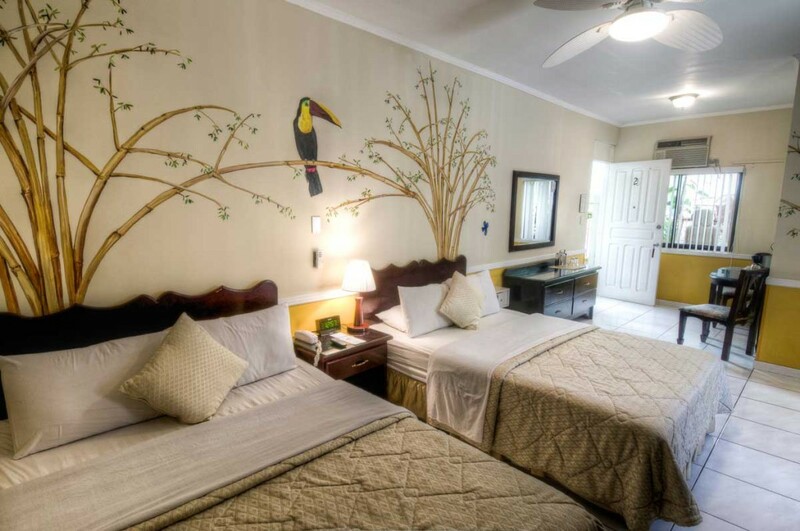 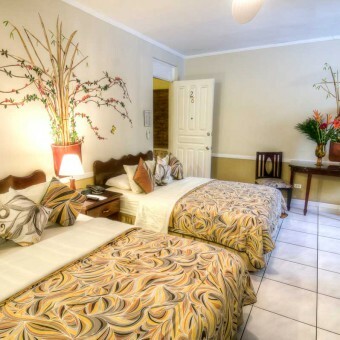 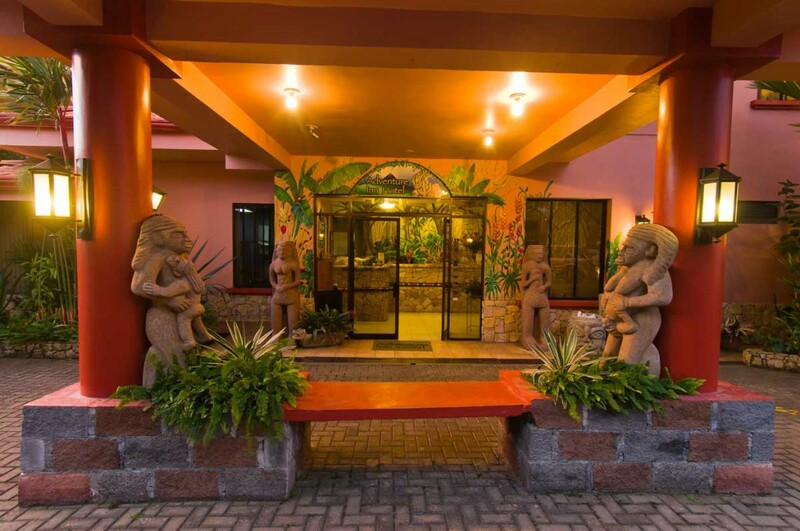 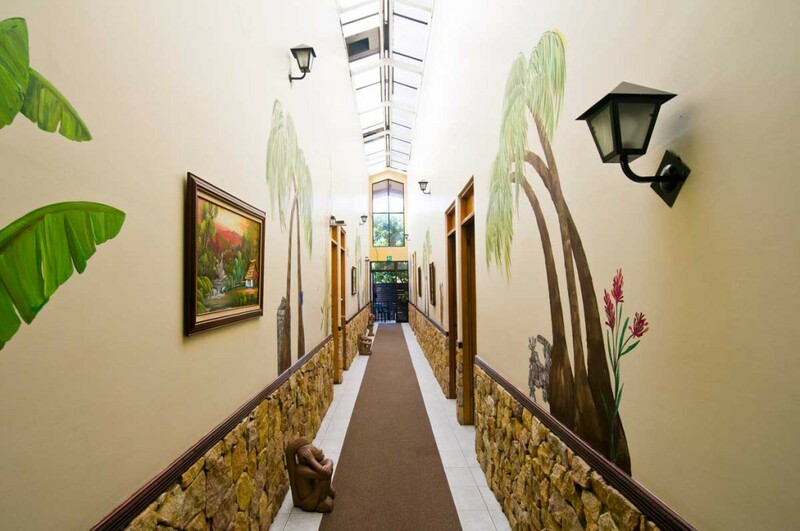 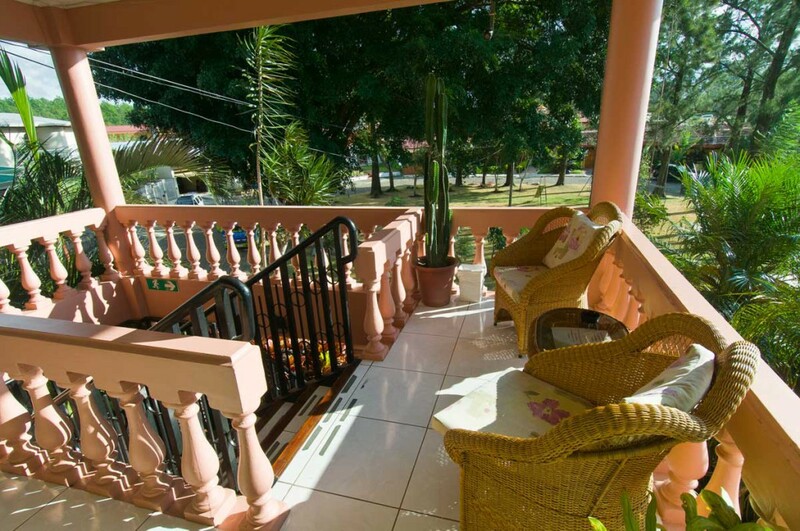 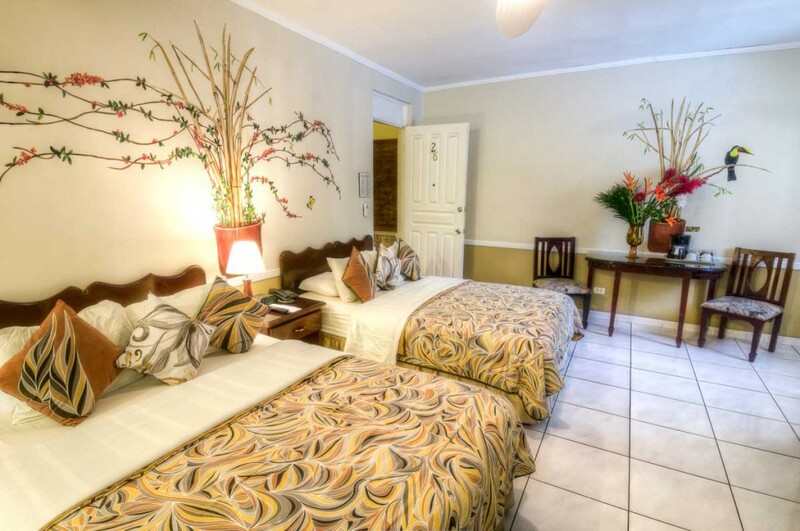 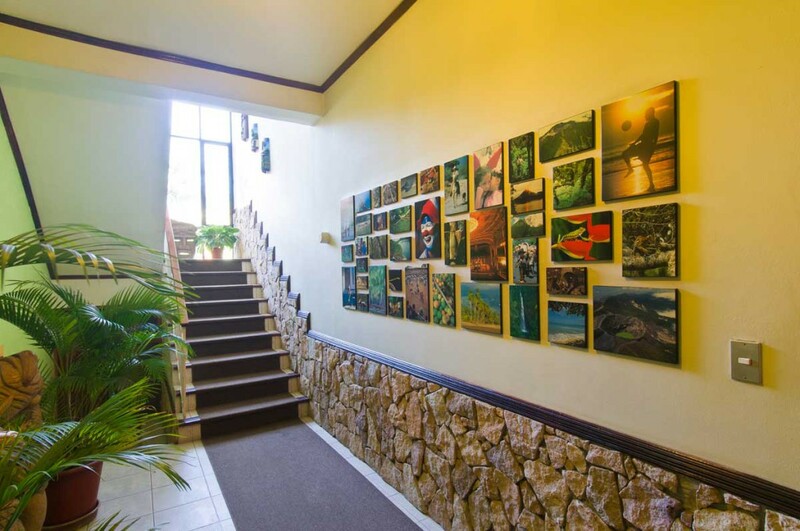 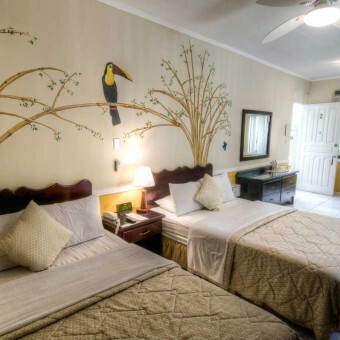 While Mayan statues, tropical plants and Tico art set your mood, laundry service and free luggage storage make the Adventure Inn a practical home-base to experience more of Costa Rica. 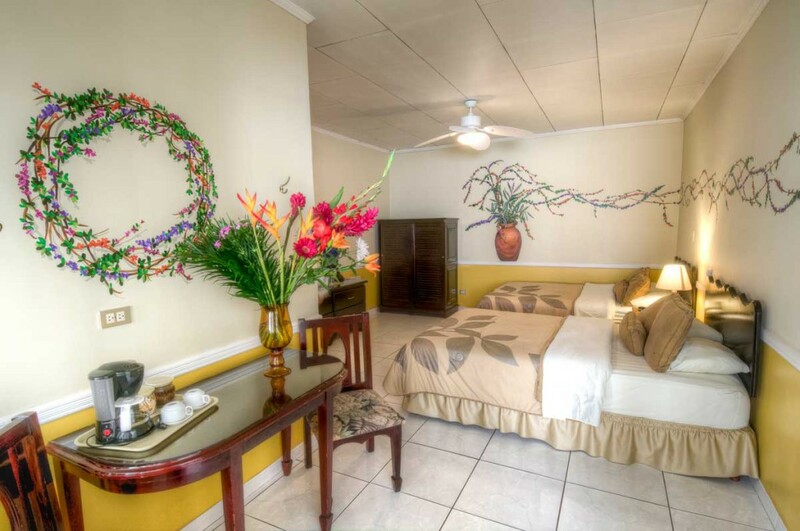 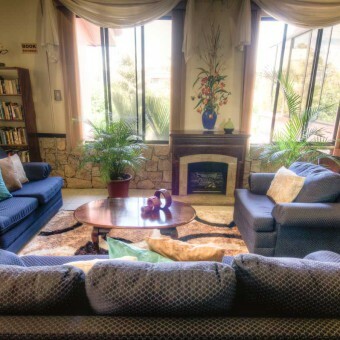 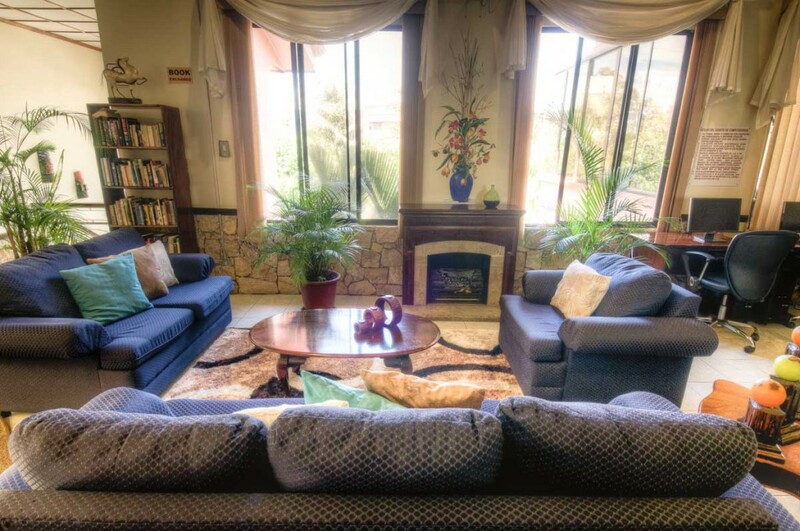 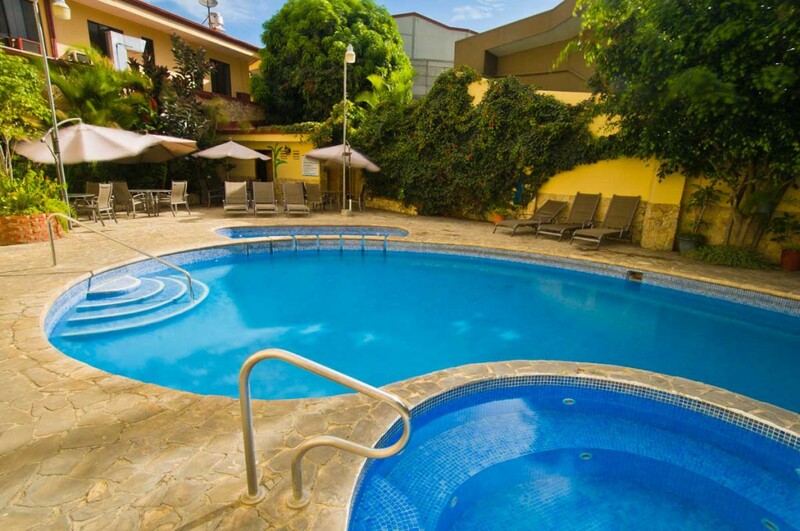 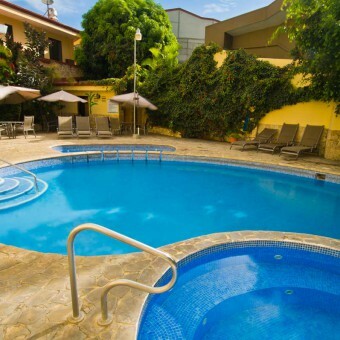 Comfortable and interesting facilities, our amazing and happy mostly bi-lingual staff, and services enthusiastically offer beyond any other hotel ensure we remain # 2 on TripAdvisor out of 86 San Jose hotels, # 1 is twice our price.